Back in December we brought you some exciting news. 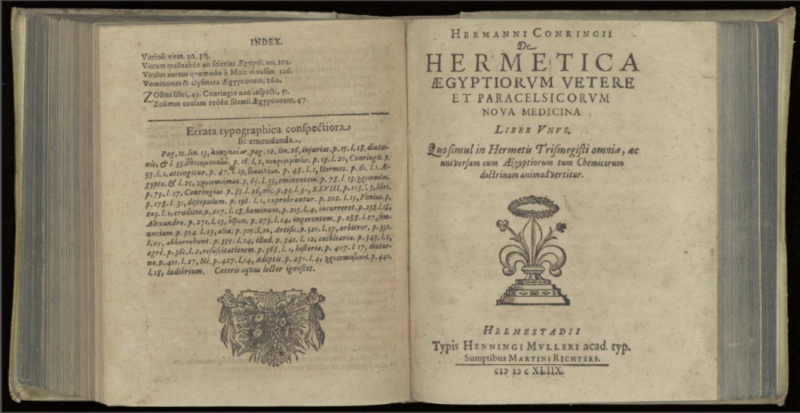 Thanks to a generous donation from Da Vinci Code author Dan Brown, Amsterdam’s Ritman Library—a sizable collection of pre-1900 books on alchemy, astrology, magic, and other occult subjects—has been digitizing thousands of its rare texts under a digital education project cheekily called “Hermetically Open.” We are now pleased to report, less than two months later, that the first 1,617 books from the Ritman project have come available in their online reading room. The site is still in beta, so to speak; in their Facebook announcement, the Ritman admits they are “still improving the whole presentation,” which is a bit clunky at the moment. 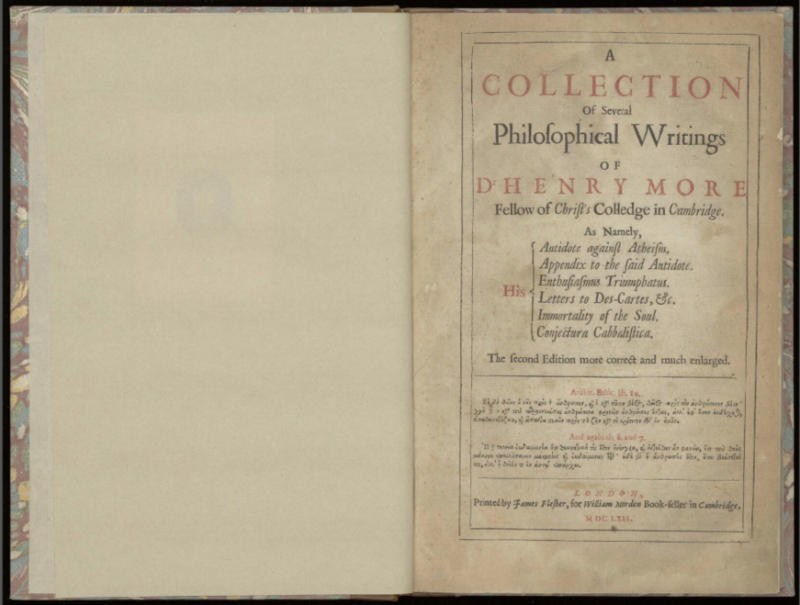 But for fans and students of this literature, a little inconvenience is a small price to pay for full access to hundreds of rare occult texts. Visitors should be aware that these books are written in several different European languages. 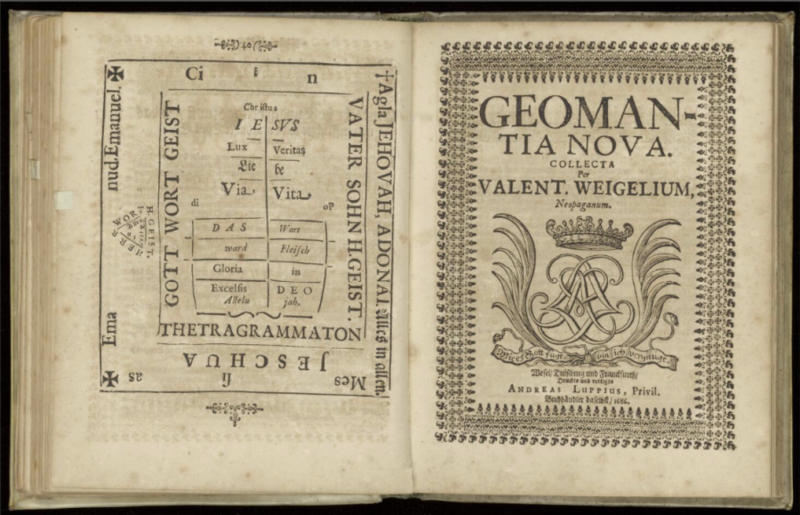 Latin, the scholarly language of Europe throughout the Medieval and Early Modern periods, predominates, and it’s a peculiar Latin at that, laden with jargon and alchemical terminology. 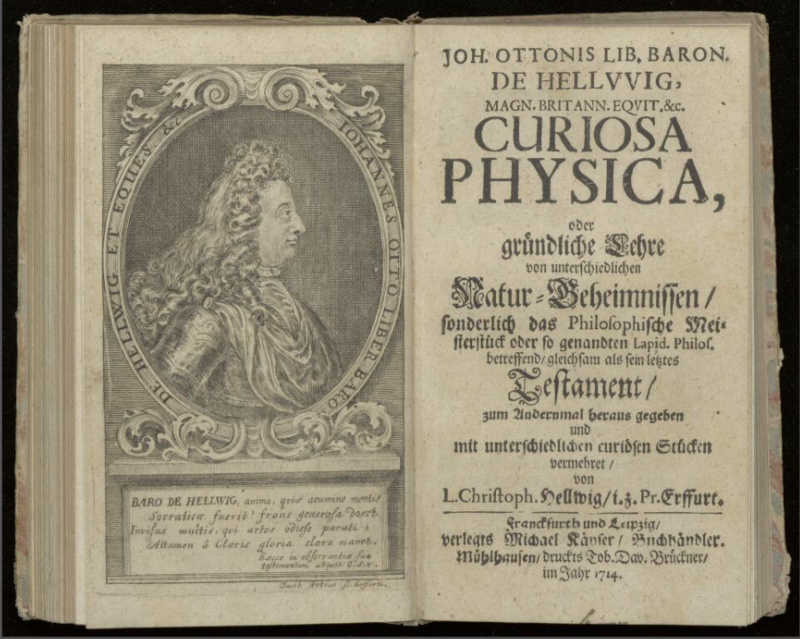 Other books appear in German, Dutch, and French. Readers of some or all of these languages will of course have an easier time than monolingual English speakers, but there is still much to offer those visitors as well. 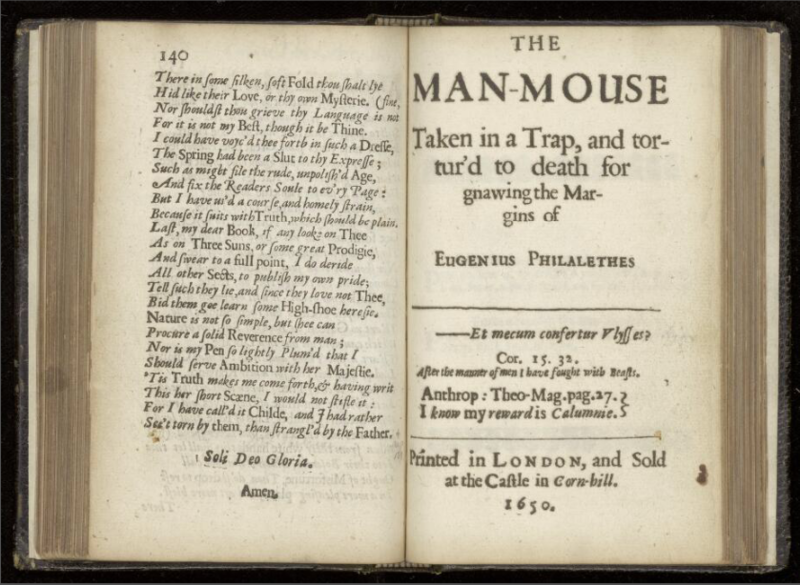 In addition to the pleasure of paging through an old rare book, even virtually, English speakers can quickly find a collection of readable books by clicking on the “Place of Publication” search filter and selecting Cambridge or London, from which come such notable works as The Man-Mouse Takin in a Trap, and tortur’d to death for gnawing the Margins of Eugenius Philalethes, by Thomas Vaughn, published in 1650. The language is archaic—full of quirky spellings and uses of the “long s”—and the content is bizarre. Those familiar with this type of writing, whether through historical study or the work of more recent interpreters like Aleister Crowley or Madame Blavatsky, will recognize the many formulas: The tracing of magical correspondences between flora, fauna, and astronomical phenomena; the careful parsing of names; astrology and lengthy linguistic etymologies; numerological discourses and philosophical poetry; early psychology and personality typing; cryptic, coded mythology and medical procedures. Although we’ve grown accustomed through popular media to thinking of magical books as cookbooks, full of recipes and incantations, the reality is far different. But duskily through the painted panes. Given the Ritman’s alacrity and eagerness to publish this first batch of texts, even as it works to smooth out its interface, we’ll likely see many hundreds more books become available in the next month or so. For updates, follow the Ritman Library and The Embassy of the Free Mind—Dan Brown’s own Dutch library of rare occult books—on Facebook. Enter the Ritman’s new digital collection of occult texts here. This entry was posted on 15 September, 2018 in homepage. Bookmark the permalink.